Preface Electric Motor Drives is an evergreen subject and is of interest to Electrical, Mechanical and Electronics engineers. 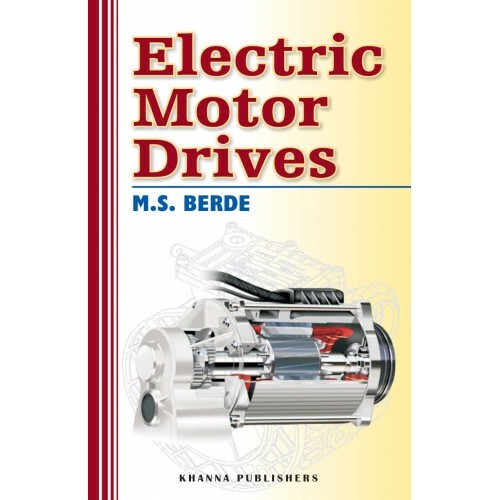 The book covers mechanical principles, electric motors fundamentals, control principles as applied to various electric motors, industrial motor applications, and maintenance of electric motors and allied equipment. Worked problems on electric motor drives are added and questions are added at the end of each chapter to cover the theory discussed. The book may be useful for undergraduate courses in Electrical Engineering, lasting for one semester. Table of Contents * Introduction to Electric Drives * Dynamics of Electrical Drives * D.C. Motor Characteristics, Control and Drives * Three Phase Induction Motors Characteristics, Control and Drives * Synchronous Motor Characteristics, Control and Drives * Motor Power Ratings * Selection of Motors &bull;Preventive Maintenance of Electric Motors and Allied Equipments * Industrial Applications of Electric Motors * Protection of A.C. Motors * Energy Conservation in Motor Drives * Worked Problems in Electrical Drives.